THE EARTH’S MOST HATED HEROES?! 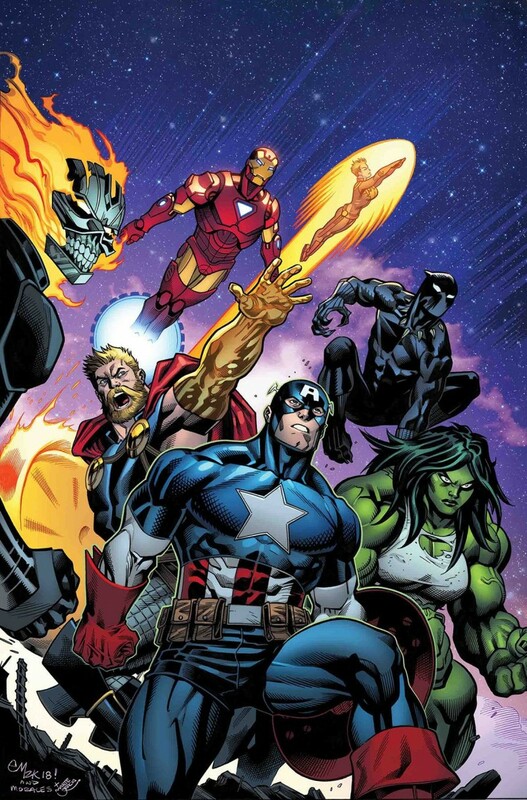 After 700 issues of saving the world, you’d think the Avengers would be due some celebration. But instead the whole world seems to be gunning for them, especially Namor’s fearsome new Defenders of the Deep and the reimagined Russian Super-Soldiers of the Winter Guard. And that’s not to mention the shocking surprise the U.S. government has in store for our heroes. Plus: The all-new Agents of Wakanda! The mystery of the Avengers of 1,000,000 BC deepens! A key revelation concerning the resurrection of Wolverine! And the next startling new Avenger is revealed!